I found this recipe over at Real Mom Kitchen. It seemed easy and went well with the pork that we were having. They looked great in the picture, but mine turned out pretty dry tasting. They were so small it was hard to season them right and taste the flavor. 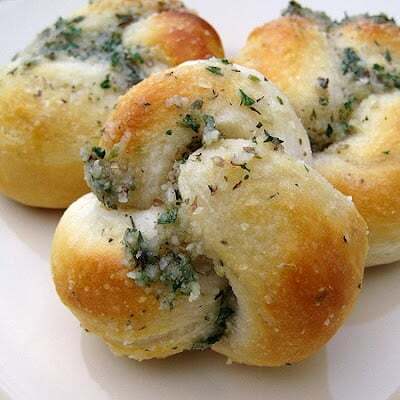 If I were to make this again I would probably use a different dough, like a bread dough and then make the knots and season them. Also would make them bigger. Will I make it again? I would use the same idea but change it. Would not use biscuit dough. Roll each biscuit into a 12-in. rope and tie into a knot; tuck ends under. Place 2 in. apart on a greased baking sheet. Bake at 400 for 8-10 minutes or until golden brown. What about using breadstick dough? ?